Jamison Road updated their cover photo. Best wishes in your new adventures!! Please keep us up to date if you play somewhere! Good luck on your new adventures! Wishing you well where ever life takes you. Big wheels keep on rollin! Who knows what the road, Jamison that is, has in store in the future! Jamison Road is with Frank Larry and 3 others. Today we are saddened by the passing of Jamison Road mentor and friend, Frank Larry. Frank and his wife, Karen Clark, lifted us up as songwriters and performers, and invited us into their musical family very early in our days as a band. Frank confidently ushered us into Nashville, and arguably was the impetus behind both the studio albums we recorded there. Because of Frank and Karen, Jamison Road songs have been heard by thousands of people who would not have otherwise heard them, including many notable recording artists to whom their (and our) publishing company, A Million Midnights Music Publishing, has become a reliable source of new material. With all that said, it was Frank’s kindness, calm confidence, and sense of humor that defined our relationship with him. Our hearts are broken for Karen and his sons, Nick and Lucas. Frank, may you be welcomed into heaven with the same open arms and enthusiasm that you and Karen welcomed Jamison Road into your family. He was an amazing cousin loved what time we got to spend together. He will be truly missed by his family and friends. Prayers for Karen, Lucas and Nick. Sending our love to all. Frank was well loved and will be sadly missed.. prayers for comfort and peace. Very sorry to hear about Frank. He was a gentle soul who impacted many lives. He will be missed. Godspeed, my friend! Frank Larry believed in you from the beginning. And haven’t we had some fantastic times and some wonderful memories to show for it! So sorry to hear! What a great guy. He was a joy to be around. My thoughts and prayers for his family during this difficult time. God bless and May he Rest In Peace! So very sorry to hear about Frank. That was an awesome night. Loved watching you all having so much fun! And I missed it 😫 lots of love from the south!! So much fun! We didn’t want it to end! Jamison Road would like to wish each and every one of you the happiest (and safest) holiday season! Aw, sorry to hear about the suspension, but it must be for something exciting for your future! Will definitely be at jim and jacks for your farewell party. Merry Christmas to all of you! Oh wow , hope everything is okay , good luck in the future , Merry Christmas !! We didn't know anything about this when we saw you last week. Too good of a band to just sit idle. Hope you get back out soon!!! 😢 Good Luck with your future endeavors!! Wow ❤️ wish I could be there. SWFL sunsets are the best! You're teasing. What a great place. We really enjoyed seeing you there last winter. Awesome!!!! So much fun!!! I’ll be waiting on my song request! lol! Jamison Road is at Bon-Aire Resort. You need a date for the winter! Next time, please take me!!! Ha!!! Plaza Beach Resort is where we stay... just a few down from Bon-Aire. And maybe we will come down too! Hope the weather is good for you! Jenay Ann Kordenbrock isn’t this the place you stay at in FL? This band is awesome! Dave Meister, not sure how close you are, but these are friends of mine and one hell of a great band! Nice people too. Dave Oldiges go check out this band!!! Jamison Road is in Carcross, Yukon. When are you playing in Northern Ky again? Jamison Road shared a photo. They are great I have heard them before. Judy Pickworth, you should go see them! 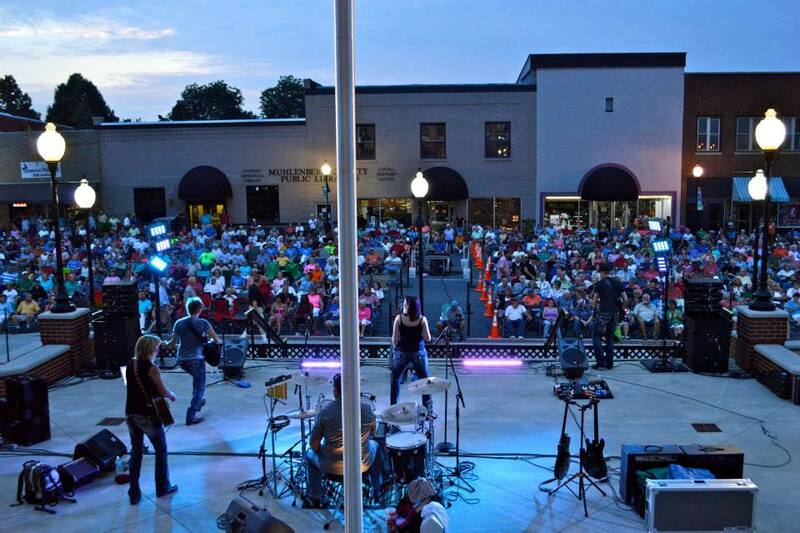 TONIGHT - come on out to see us play at Newport on the Levee - it's gonna be a great night down by the river!The Bud Light Live at the Levee concert series returns tomorrow night with Jamison Road. Join us on the Plaza at 7 pm and help us keep summer going strong. Come to Newport on the Levee where Thursday is the new Friday. Looks like fun. I hope they have huge crowd! Gotta work tonite would have love to see you guys!!! Any new cd”s coming out? Where’s next local show? We will be there! And when I say we I do mean Tony too! Jamison Road shared a Page. St. Thomas More's award-winning festival page, that includes food, drink, games and entertainment.